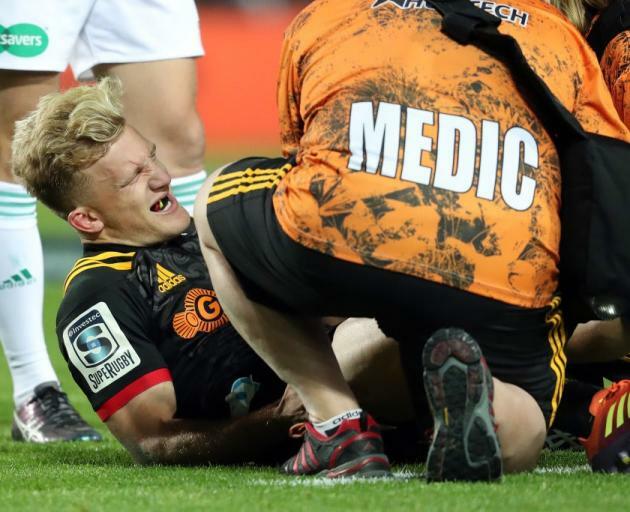 The Chiefs full-back was forced off the pitch early in the second half at the Waikato Stadium, after attempting to tackle Otere Black, and a scan later revealed the full extent of the knee injury. "We know there will be (more) injuries in the next two or three months so our whole planning now is based on what happens when this happens", All Blacks assistant coach Ian Foster told Radio Sport. Williams' absence from Wellington after he had keyhole surgery on his right knee last Friday wasn't a big concern, said Hansen, who added there was still plenty of time for the big midfielder to return for the Blues before the All Blacks' first test of the year against Argentina in Buenos Aires on July 21. McKenzie left the field with the help of a Chiefs medic but seemed in serious distress.